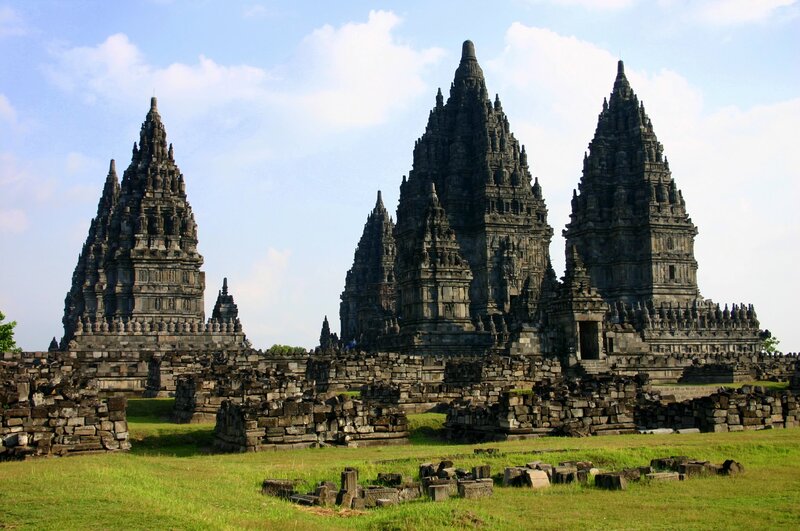 Located in Central Java, a short distance from Yogyakarta, Prambanan is a 9th-century Hindu temple, now listed as a UNESCO World Heritage Site. 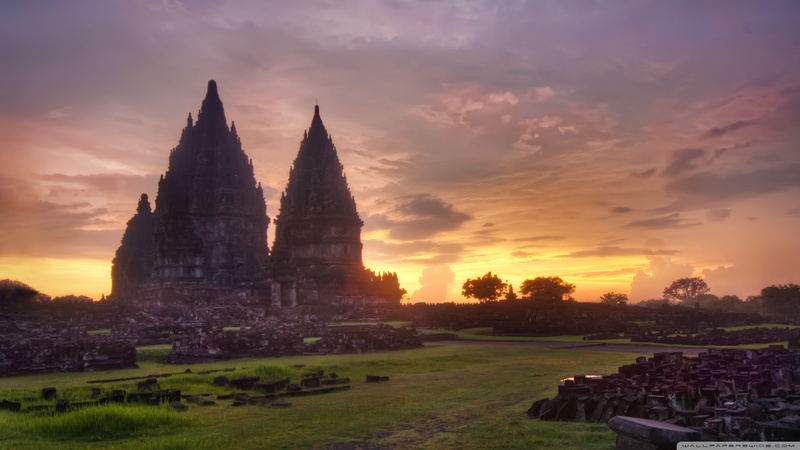 Often overlooked by tourists in favor of the nearby Buddhist temple complex of Borobudur, Prambanan makes for an impressive visit as Indonesia’s largest Hindu temple site. Dedicated to Brahma, Vishnu, and Shiva, the site features the typical pointed Hindu temple architecture, together with elaborate carvings and statues. 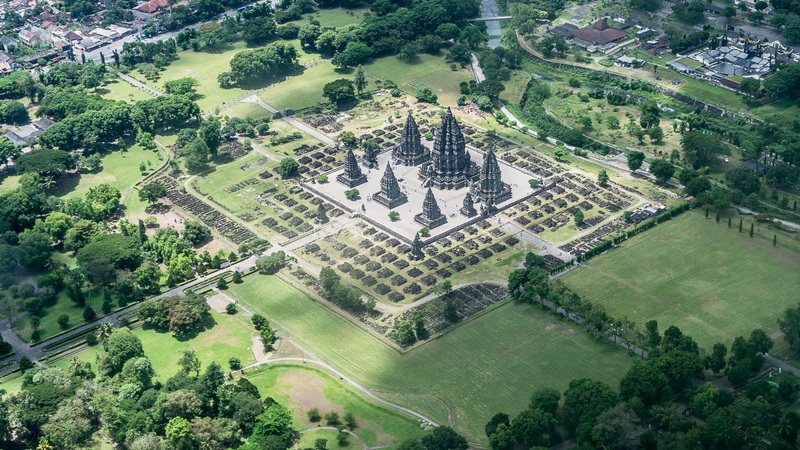 It is believed that Prambanan’s construction was initiated by Rakai Pikatan in response to the building of nearby Buddhist Borobudur, as an attempt to re-assert Hindu power in the region. 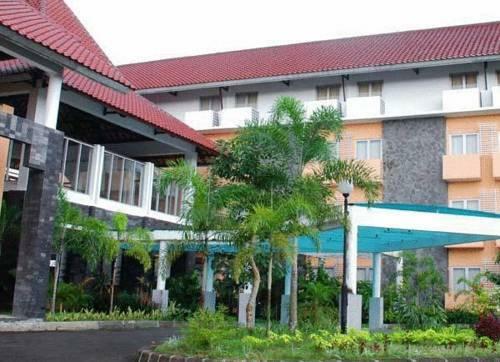 It was originally named Shiva-grha or ‘the House of Shiva’ in honor of the Hindu god, but its name was later changed to Prambanan after the village where the temple complex stands. While the complex was expanded by successive Mataram kings and smaller temples added around the main one, its influence as the royal temple of the Kingdom of Mataram waned as the court was shifted to east Java in the early 10th century and eventually abandoned. 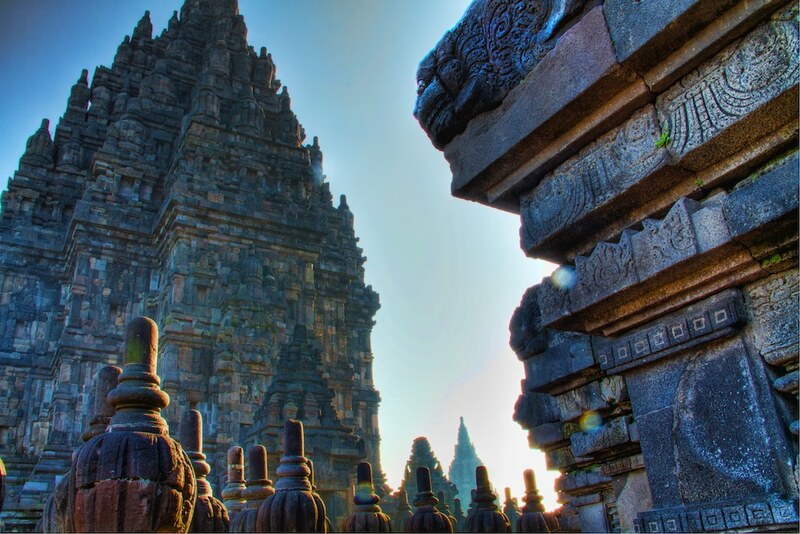 A significant earthquake in the 16th century resulted in the collapse of many of Prambanan’s structures and it wasn’t until the early 19th century that a British surveyor re-discovered the ruins and ignited some European interest. It was for another century, however, before reconstruction and restoration efforts began by Dutch colonists. With much of the original stone work looted, it was a challenging process, resulting in the landscape of restored shrines interspersed with foundations seen today. 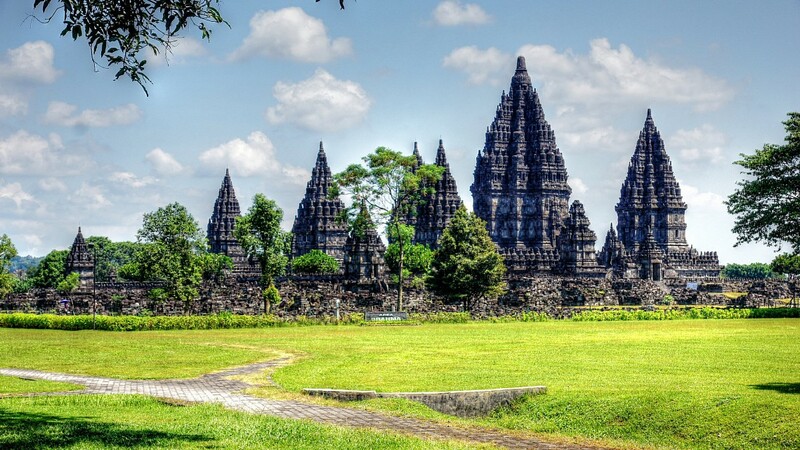 The temple complex of Prambanan is dominated by Candi Prambanan, the largest temple to the left-hand side when you enter through the main entrance, together with six other remaining temples situated within the central court. 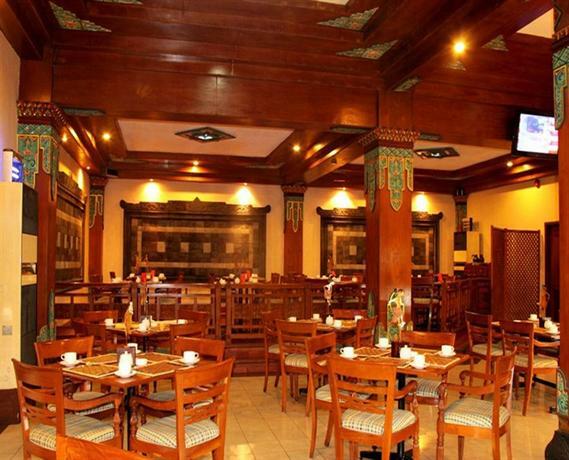 They feature typical Hindu architecture with elaborately carved reliefs and pointed roofs. 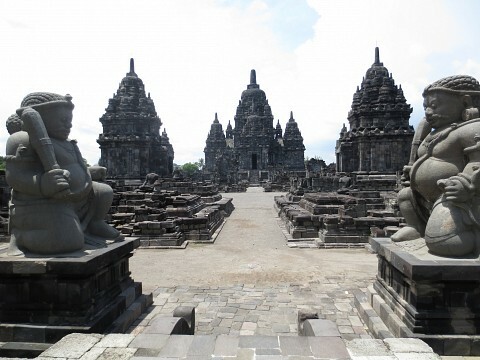 Candi Shiva, Candi Brahma, and Candi Vishnu are dedicated to each of their respective gods and their carvings relate stories from the Ramayana as well as depictions of their deities. 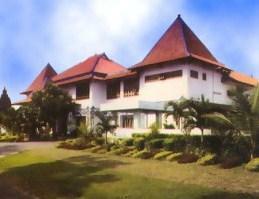 The Prambanan Museum is a free on-site museum and while it does offer some information about the site, explanations are limited. It does screen a short video, however, which helps to explain a bit about the complex’s history. For those unfamiliar with Hinduism, a guide is highly recommended to explain the meaning behind the structures and carvings, and will enrich your appreciation of the site immeasurably. One kilometer to the north of the central court lies Candi Sewu, a Buddhist temple complex which is architecturally similar to Borobudur. 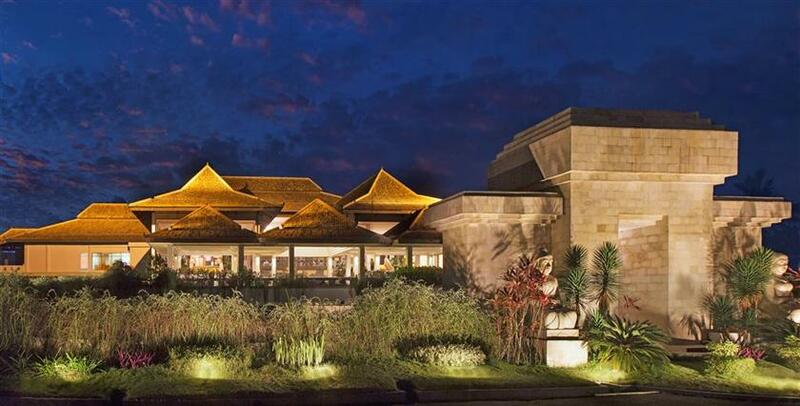 While the central temple is impressive, if you are also visiting Borobudur you may want to save your legs. Surrounding Prambanan are a number of temples which are much less visited and if Prambanan’s Javanese architecture (both Hindu and Buddhist) sparks your interest, then it is worth spending a half-day exploring this region. You can either go by foot (asking directions as you go) or hire a horse and carriage if you state the specific temple you want to visit. While most are free to enter, men working as temple guards appreciate (or sometimes request) a small tip. The most popular include the Buddhist Candi Plaosan temple complex, 1.2 miles to the north east of Prambanan, Candi Barong and Candi Kalasan, Prambanan’s oldest temple. 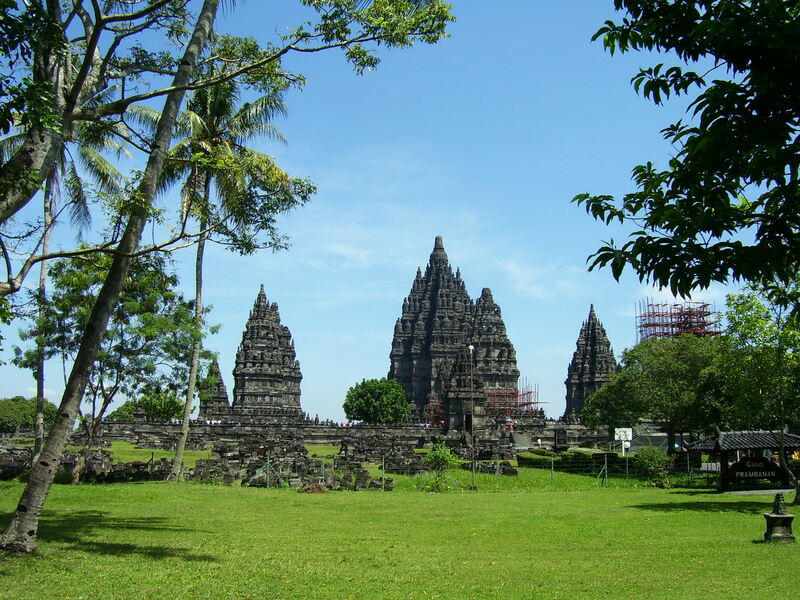 The main temple complex at Prambanan has an open-air theater where the Hindu Ramayana is performed during the dry season from May to October. If you haven’t experienced this Javanese ballet accompanied by gamelan elsewhere on your Indonesian trip, then this is highly recommended with the beautiful temples of Prambanan as your backdrop! There are plenty of tour companies which combine Borobudur and Prambanan as a day-trip, starting early to watch sunrise over Borobudur. This does restrict the time you have to explore the sites so if you feel you may want a more in-depth look, opt to go independently. 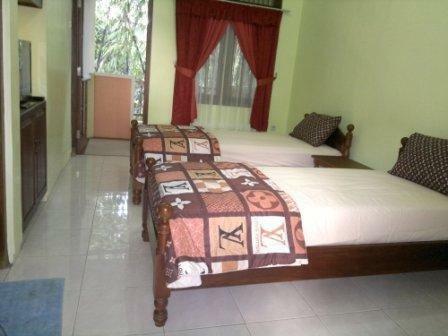 If you want to go it alone, there are public buses from Yogyakarta to Prambanan which take around 45 minutes or it is relatively cheap to get a taxi if you are a couple of group. The site opens at 6 a0 feet and it is best to arrive early to beat the mid-morning crowds. 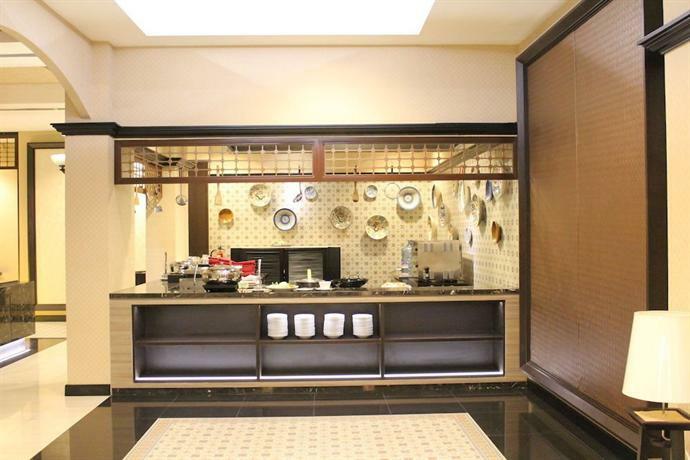 Entrance costs around 200,000 IDR for foreigners and less than half that for Indonesians. 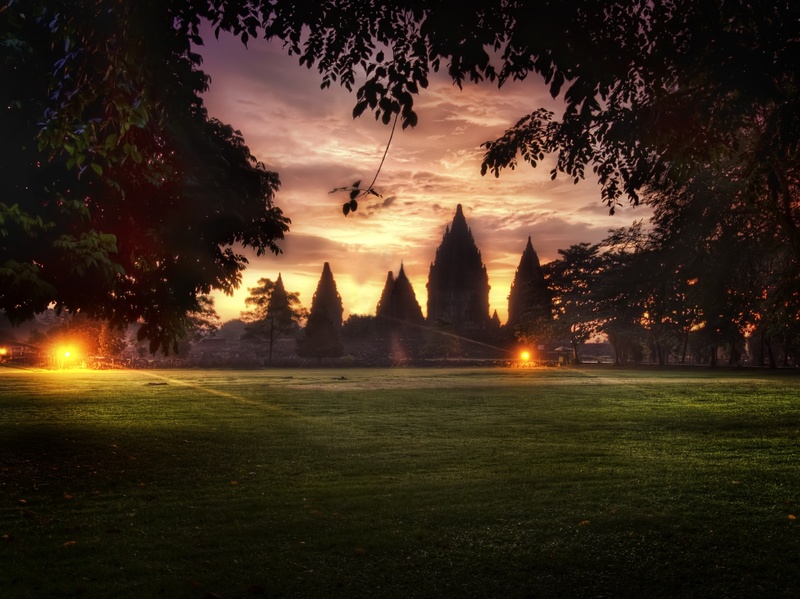 Prambanan is popular with domestic tourists, so if you want to avoid large crowds don’t visit during Indonesian holiday periods or on weekends. School groups are also common at the site so be prepared for multiple requests to have your photograph taken with groups of strangers! 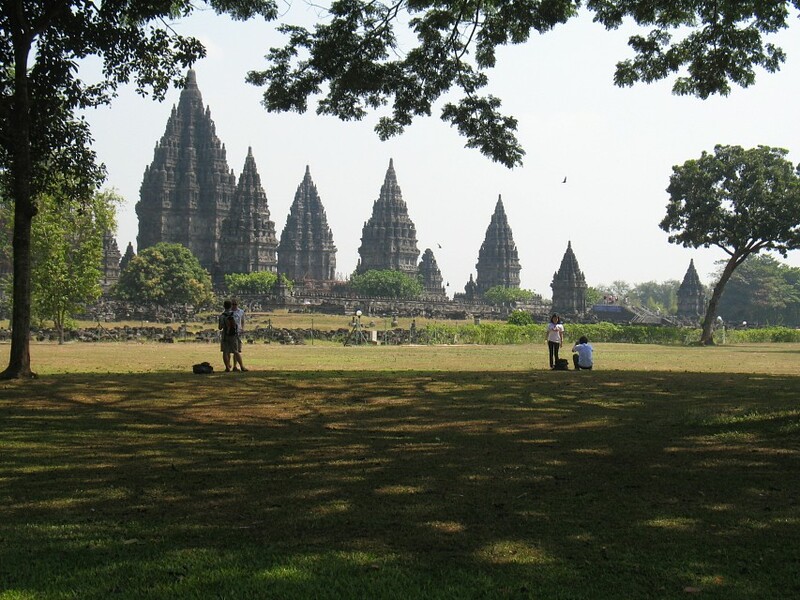 Remember to wear long pants or a skirt when visiting Prambanan, or be willing to accept a sarong to wear on arrival.